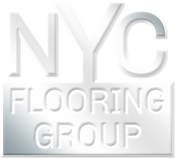 At NYC Flooring Group, we carry a full line of vinyl tile flooring products for your New York vinyl tile flooring installation projects. As a versatile flooring product, vinyl tile is durable, moisture-resistant, easy to care for and is a superior flooring solution for any room in your house. NYC Flooring Group provides NYC vinyl tile installation, Manhattan vinyl tile installation, Brooklyn vinyl tile installation, Queens vinyl tile installation, Long Island vinyl tile installation, Nassau County vinyl tile installation, Suffolk County vinyl tile installation, Bronx vinyl tile installation, Westchester vinyl tile installation. No matter where you shop in New York for vinyl tile flooring, our price match guarantee ensures you won't find prices lower than ours - call us today to get our 110% price match guarantee.